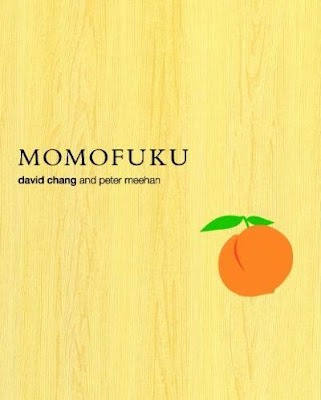 This should be the last post from Momofuku for a while, and is one of the two dishes (along with the pork buns) that I knew I had to make as soon as possible when I first read through this book. After some steeping and some simmering, you have your dashi. This goes into the fridge so the fat can solidify and be easily removed. I prepped this on Saturday while putzing around in the kitchen doing other things. and went into the fridge to wait for dinner. It's good to know I can trust the SousVide Maestro unattended when I make these eggs in the future. (Thanks, T!) One product I had to order just for this dish was a package of Anson Mills grits. These are not the cheapest grits around, but I've read several cookbooks saying that there's no point making polenta or grits with products from anyone else, so I decided to give it a try. The raw grits were gorgeous, so I felt like this was a good call as soon as I opened the package. The grits soak for at least 8 hours in water, then are brought to a simmer with the bacon dashi and whisked constantly for a few minutes before being seasoned and moved to lower heat where they are whisked only occasionally until fully cooked. Just before service, (Amish) butter is whisked in to finish the grits. ...which I also couldn't resist throwing on the grill instead of pan-frying... I promise to do it Chang's way next time, but I have no regrets about the end result from doing this part my way... I cooked off a little Blood Farm bacon while grilling the prawns, and things were pretty much ready to assemble. i just bought gombu today, so I'll try this recipe! thanks for posting!